As we head into the last week before California’s Election Day those of us working in the political trenches wonder if voters will stay home or stand up for their rights. Will they believe stories in the media that predict a blue wave, or have faith that reasoned people will show up and support candidates who care more about solutions than power. Republicans – Decline to States – Independents – Libertarians have been told by the current leadership that there is no hope for a new direction in California – but I disagree. Look at the organizing and millions of dollars it takes the Democrats just to convince their own voters to turn out. They use fear and sometimes intimidation to convince people to support their candidates. Yet who do they have leading their ticket? A wealthy, white, male, with close ties to big oil and a dismal record of leadership in San Francisco. And despite serving eight years as Lt. Governor, he has no record of accomplishment at the State level. Enthusiasm for this man is shallow, and voters from all parties need to open their minds to the needs of our State. Do we want to continue driving businesses out while bankrupting the state with socialized, mediocre healthcare? Or support policies that result in an economy that provides opportunity with good-paying jobs, free-market healthcare where competition drives down costs and improves services. This is the fundamental difference between the Democrats and everyone else. Spend other people’s money and keep people down, or bring back opportunity and the freedom to be independent and succeed. Which will it be California voters? Earlier this week the media totally ignored many huge rallies supporting conservative values across the nation. The one they fear the most is #WalkAway that has gone beyond popularity on social media and resulted in a huge march in Washington, D.C. 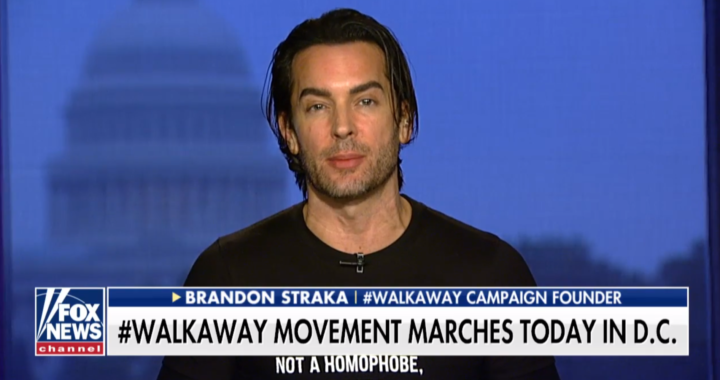 Founder Brandon Straka states in the interview below that this campaign is about people walking away from identity politics toward self empowerment. People are tired of the intimidation and the Democrat’s narrative that we should all fear the current administration. 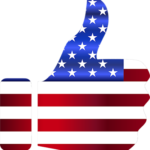 People of color don’t believe they are betraying their race if they have independent thought or support the results we are seeing from Washington. Take a look..
We have seen terrible acts of violence lately. Unbalanced people who let the vitriol put them over the edge. The most recent tragedy took place in a synagogue in Pittsburgh where 11 people were gunned down by a crazed anti-Semite. Democrats blame the violent acts on the President, and Republicans blame inflammatory statements made by former President Obama, Eric Holder, Joe Biden, Maxine Waters, and an assortment of actors and actresses trying to appear relevant. Facebook posts from the right and left are becoming more and more passionate, and even hateful. Is this accomplishing anything? No. Americans need to take out their frustration at the ballot box. They need to set party aside and look for candidates who propose solutions to our current high rate of poverty, low wages, failing education system, and high cost of housing. They need to think about the taxpayers who are paying billions of dollars for wasteful programs in our government, and those who are leaving the state, taking needed revenue with them. Our current leaders are more concerned about the next election and securing their power than they are for securing opportunities for the people they claim to represent. Just look at the streets of San Francisco. Do we want our State to go downhill as that once beautiful city has done? Vote Californians – for change. Speak up for a brighter future for our kids and their kids. 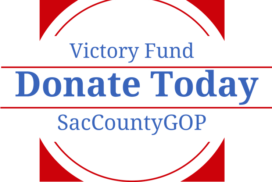 There are several very close races in Sacramento County and throughout the State. Every vote counts, and they can all add up to victory. Here are some resources to view lists of candidates who stand for a renewed California. If you need help with your Sacramento ballot, please call our Voter Help Line at (916) 822-5618.